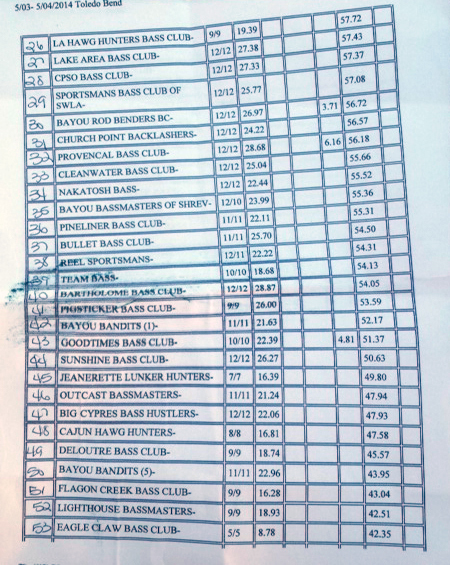 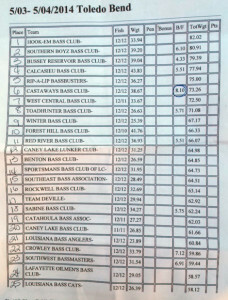 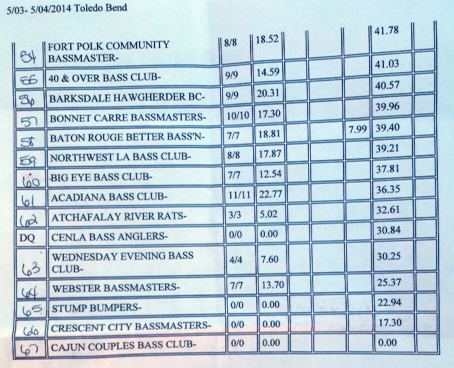 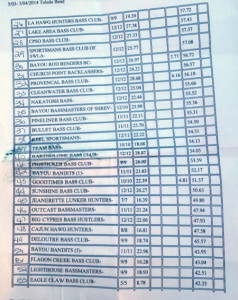 Each of the images below show detailed information regarding the Toledo Bend Fishing Results. 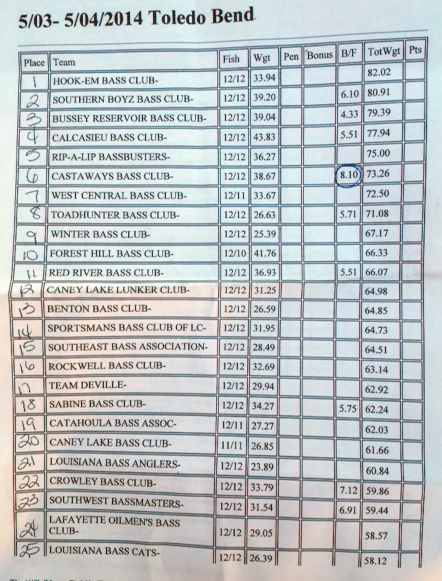 To view the results, please click the images below to enlarge them. 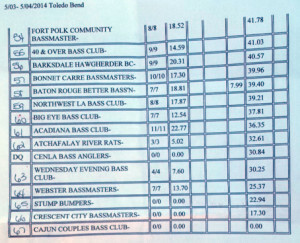 If you have any questions, contact gary@paradiselouisiana.com for more information.